Naturally elevates testosterone levels by increasing the production of luteinising hormone. HemoTest 2XC™ by Nutrabolic is designed to support the natural production of free testosterone without interrupting the bodys natural hormonal processes. It contains natural ingredients that do not cause alterations in the system or negatively affect the pituitary gland. HemoTest 2XC ™ naturally increases testosterone by increasing the production of luteinising hormone (LH ), which simultaneously works to convert pregnenolone into various testosterone precursors and release bound testosterone. As we know, testosterone is one of the most important hormones for promoting muscle development, increasing strength and power. The natural production of testosterone gradually reduces as we age. The solution is obvious. 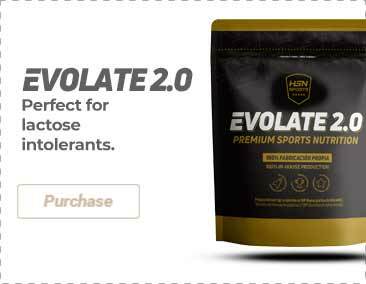 To promote healthy levels of testosterone we must supplement our diet with a natural testosterone potentiator such as HemoTest 2XC. Mucuna pruriens: Plant with interesting properties to raise levels of testosterone and the growth hormone through precursor of the neurotransmitter L-Dopa. This key ingredient also helps support sexual health. Extract of Fenugreek (700mg per serving): Fenugreek is a plant that has a significant influence on sexual arousal, energy and physical endurance. Fenugreek also stimulates the release of the luteinising hormone or Lutropin, responsible for stimulating Leydigs cells in the testicles so that they produce more testosterone. The more testosterone in the blood, the greater the anabolic environment for the construction and repair of muscle, in other words, the greater the capacity to make our muscles grow. AstraGin ™: Ingredient that increases the assimilation of nutrients and increases cellular ATP by some 18%, improving sensitivity to insulin by some 38% and raising levels of muscle glycogen after training. AstraGin ™ works by helping the organism to increase the volume of transporter chemical products and mRNA, which determines the quantity of nutrients absorbed in the intestines. Extract of Bulbine Natalensis: African plant that notably boosts levels of testosterone, progesterone and the luteinising hormone, while reducing levels of oestrogen. Hemotest 2XC™ Proprietary Matrix: A combination of caffeine, acetyl L-carnitine and luteolin (flavonoids, with antioxidant and anti-inflammatory properties). This synergic blend of ingredients improves both mental and physical performance. Capsule cellulose, microcrystalline cellulose, fumed silica, magnesium stearate, stearic acid, silicon dioxide. As a food supplement, take 2 capsules 30 minutes before training with some 300ml of water. On non-training days take 2 capsules when waking with 300ml of water. If you are sensitive to stimulants, do not use this product within 4 hours of going to bed.